This four-building compound includes the main house, guest house, artist’s studio and detached garage. 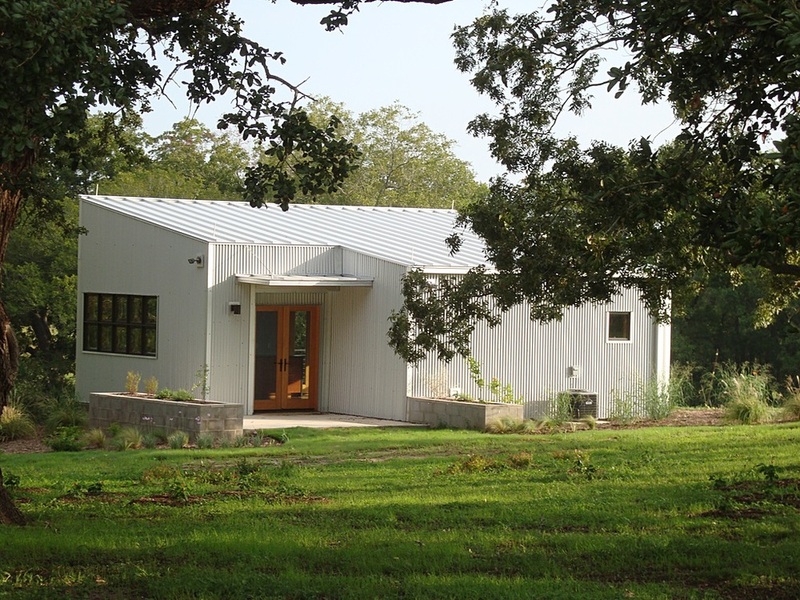 A passive solar design, it utilizes high efficiency HVAC systems, exposed metal ductwork, concrete floors and a ventilated all metal skin to beat the Texas heat. The garage serves as a “rain barn”, collecting water in two 14,000-gallon tanks. The artist’s studio is located in a very special spot, just beyond two tremendous oak trees, its workspace flooded with northern light.